Everybody will encounter the need for Technical Support at some time. More often than not the quickest way to resolve an issue is to search for a solution is Google or Bing as it’s highly likely that somebody else has had the same or similar issue. If there are know technical issues with our services or upstream providers outages or any planned maintenance work, Net Solutions staff will post any advisories in the Client Area Announcements section. We may also post in our Network Operations Twitter feed. Our Knowledgebase contains commonly asked questions relating to our services. If you have trawled through the Internet and our knowledge-base and are still unable to resolve your support query all of the above fail you can raise a Service Request with Net Solutions. Net Solutions offer Paid Support and Complementary Support. Please familiarise yourself with the Terms and Conditions for the service pertaining to your support query as some Service Requests are complimentary as part of your service while others are billable. All support requests are initiated by raising a Service Request via our Client Area. This will initiate email dialog between you and our support staff. When raising a service request please provide as much information about the issue as possible and how to replicate it. Include any error messages you are seeing, take a screen shots and attach them to the Service Request. This allows our staff to get a better understanding of the issue. In order to streamline support requests and better serve you, we use an online Support Ticket System where each request will generate a unique ticket number that is emailed back to your primary email address we have on file when the service was ordered. We provide complete archives of your support requests for historical reference. This is the correct way to raise your Service Request with Net Solutions. Your request will reach the appropriate department which operates 24 x 7. This is the correct way to raise a Service Request for Billing issues with Net Solutions. Your request will reach the appropriate department which operates 24 x 7. You may also raise a Service Request by emailing support@netsolutions.net.au. This is the least preferred option as SPAM filters may prevent your email from reaching our systems. Be sure to send your email from the email address associated with your account so we can verify its identify. All Invoices are issues electronically via email as a PDF attachment and are sent from the billing@netsolutions.net.au email address. If you are using a SPAM filter, please whitelist this email address. Recurring Invoices are typically issued 21 days before the due payment with a reminder sent 5 days prior to the due date. If Invoices are overdue an overdue reminder will be sent, 2, 7 and 10 days after the due date. Your Invoice will clearly outline the service for which you are billed for and the payment due date. As our billing system is automated and tied in to our provisioning system, please make sure your bills are paid on-time to avoid any service suspensions and disruptions. We accept Direct Bank Deposits, Paypal and Stripe. 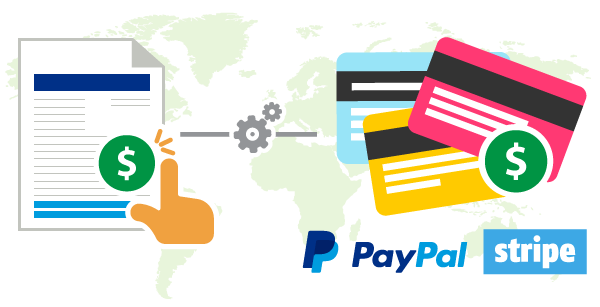 All major Credit Cards are accepted via Stripe or Paypal. Direct Bank Deposits require clearance by our bank and may take several days to clear so to avoid service disruptions Direct Bank Deposits should be posted at-least 2 business days prior to the due date. Please note that Cheques are no longer accepted as of Jul 2017. All aspects of your managing your services are performed from our Client Area. You can view, list, order, upgrade, downgrade or cancel your services. All invoices including current, outstanding, paid and historic may be viewed, downloaded from the Client Area. All domain name management is performed from the Client Area.